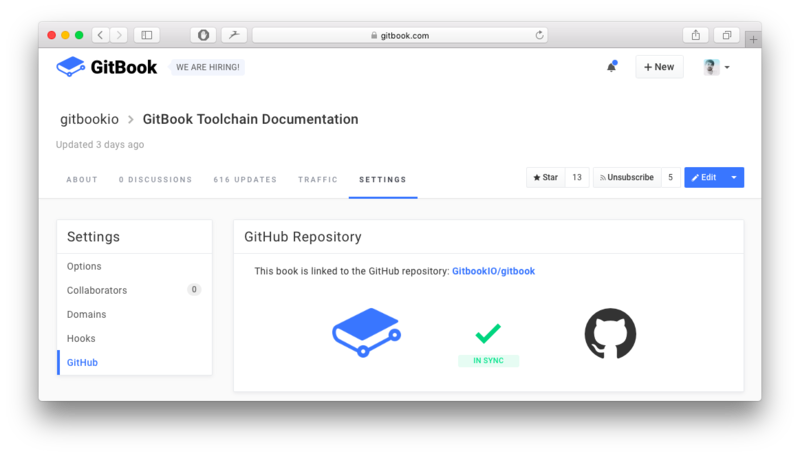 Whether you are an individual or a team of 50 members, editing a GitHub hosted documentation should be as easy as opening the GitBook Editor. This is why we are releasing our new GitHub integration today. We truly believe that new features like seamless editing of your GitHub content for team members and the per-repository based permissions will keep your team efficient and focused on what’s important: editing. 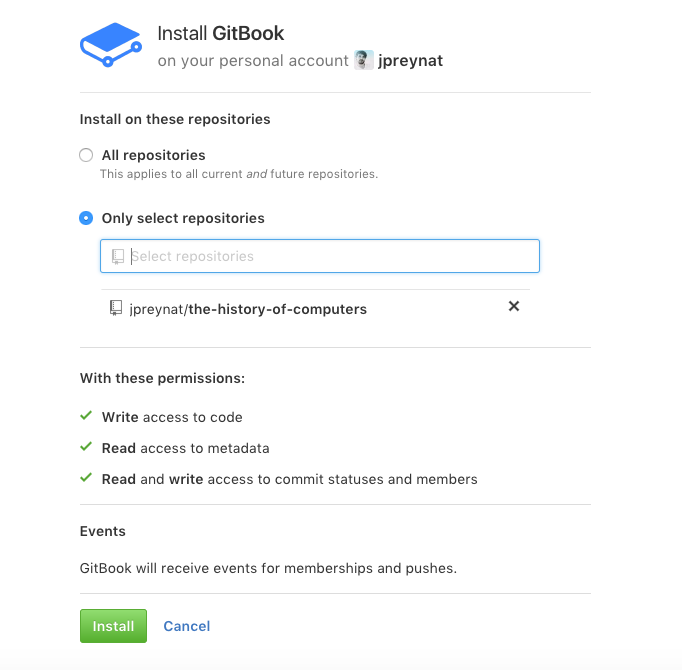 With improved granular permissions, installing our new GitHub integration allows you to only grant GitBook access to the repositories that you need. No need to grant full access to your public or private content anymore, you are in control now. As part of a GitBook organization, every writer should be able to access and edit her/his organization’s material. Once you have installed our GitHub integration on a GitBook organization’s account, forget about GitHub permissions. Only the role given to your GitBook team members matters now. Released two weeks ago, our new sync UI will come handy whenever you are working with GitHub. Once one of your book is linked to a GitHub repository, access the GitHub section of your book settings to check that your GitBook and GitHub content are in sync. Whenever this is not the case, this page will help you force syncing them back. Upgrading can be done easily from the new GitHub section of your profile’s settings. If some of your books were already linked to GitHub repositories, you will also be prompted to upgrade to our new GitHub integration on your next visits. Support for editing your GitHub books without upgrading will be maintained until February 27th. Past this date, you will have to upgrade to continue editing these books. For all your questions about installing and using our new GitHub integration, the GitHub section of our Help Center has been updated. Whether you would like to setup our GitHub integration from scratch or cannot find a GitHub repository, the answer is here.